On Monday, July 7th, our group arrived in Kyoto (after quite a hectic morning trying to get there), and immediately boarded a bus for Nara. Nara is a city about an hour south of Kyoto by bus, and is most well-known for its friendly deer that can be fed. 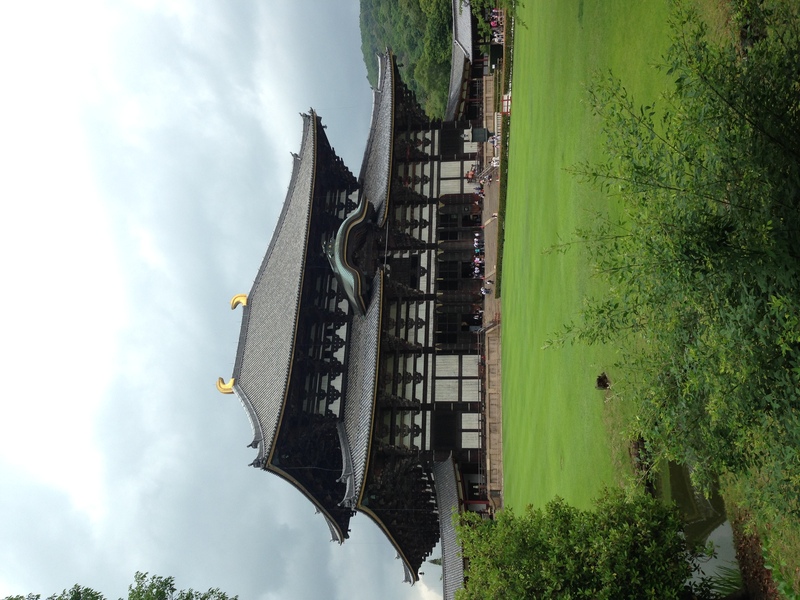 We first arrived at Todaiji (東大寺) Temple, which is the Buddhist temple in Nara where the famous deer live. 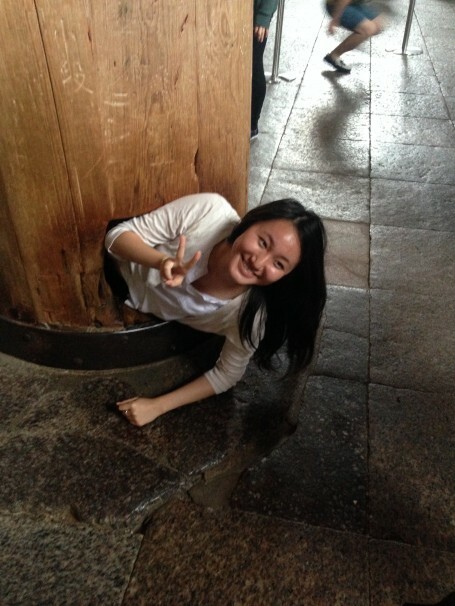 An important point to remember about Japan is the difference between temples and shrines. Japan has a very interesting religious background, with two major religions: Shinto (神道), Japan’s indigenous religion, and Buddhism (仏教), which came to Japan from China. What makes Japan interesting is that many Japanese people practice parts of both religions, which leads to an intriguing religious combination. 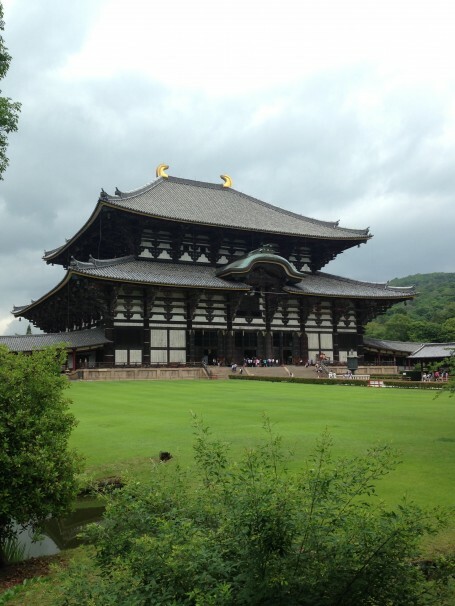 A great example of this is Todaiji Temple, because within Todaiji Temple there is actually a small Shinto shrine, showing the unique combination of Buddhism and Shinto that exists in Japan. 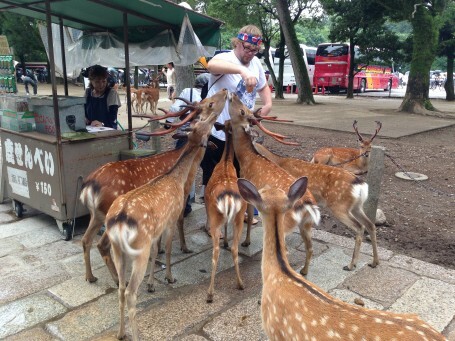 After touring the temple, we exited and some of us decided to feed the deer. We quickly learned that the Nara deer become extremely aggressive when they see food, and one of them bit my (Ben’s) stomach! However, it was still a very fun experience to hang out with such docile deer. After Todaiji Temple, we headed to Kasuga-taisha (春日大社) Shrine, a Shinto shrine in Nara near Todaiji Temple. 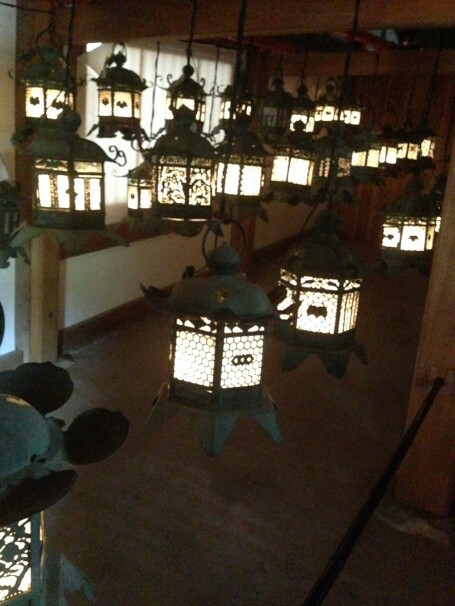 This particular shrine is famous for having over 3,000 stone lanterns. 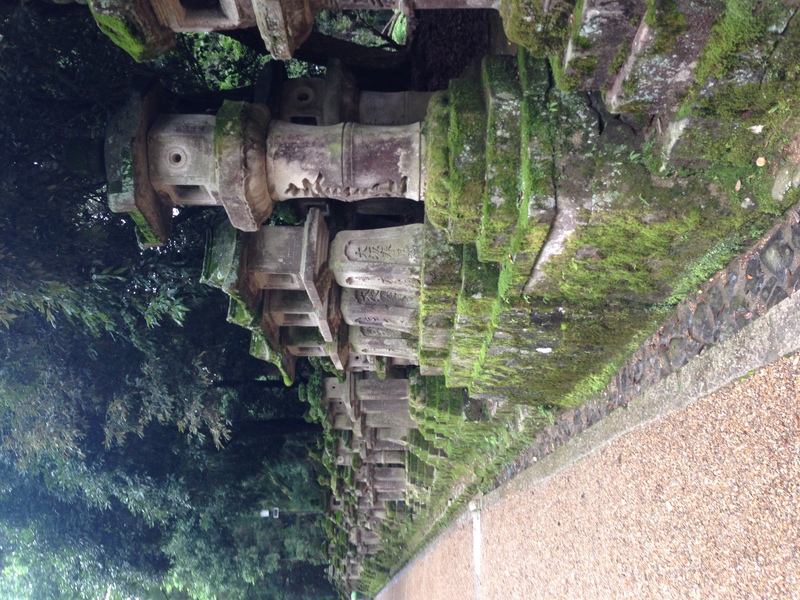 (We also found out that one could get their own stone lantern at this shrine for the very low price of roughly $10,000!) Kasuga-taisha Shrine is also famous for it’s 縁結び (enmusubi or “love-connection”) shrine, where lovers can go and write their prayers on 絵馬 (ema, literally translated as “picture horse,” but is actually a small placard) and then hang them on the shrine, hoping that they come true. 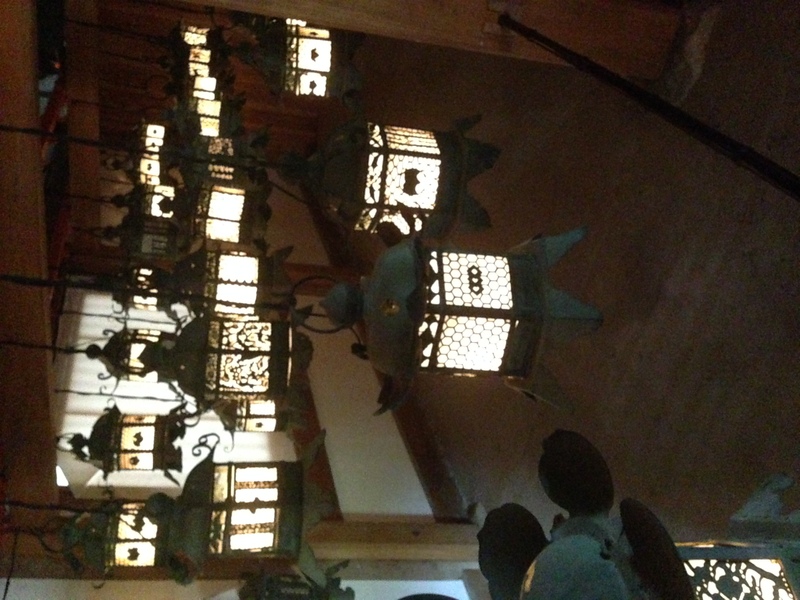 The final thing we saw were Kasuga-taisha’s beautiful golden lanterns. During the Buddhist Obon festival, this Shrine lights its hundreds of lanterns, which makes for a stunning sight (and is also another example of the Buddhist-Shinto crossover in Japan), and many people come to pray for their ancestors’ spirits. The historical significance of the temples and shrines that we visited in Kyoto was so extensive that we barely scratched its surface, but just being able to take in these places was simply amazing. 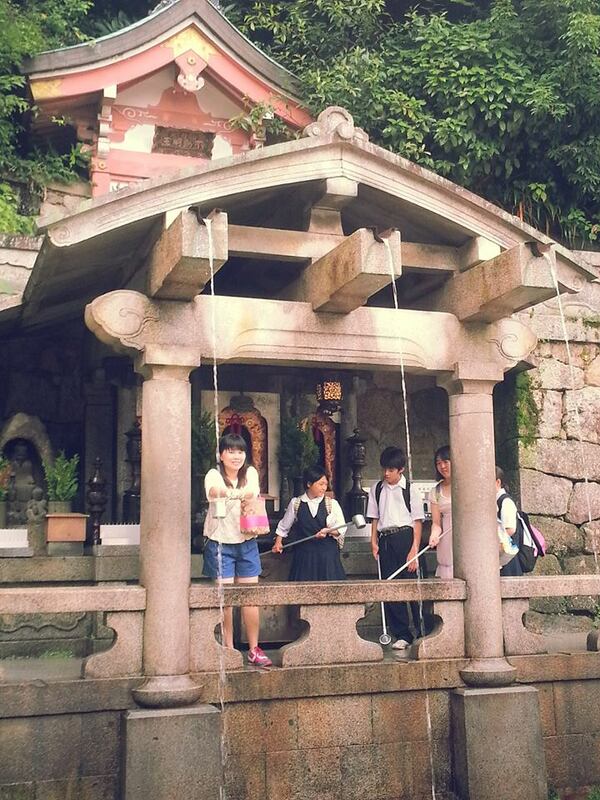 First, we visited Kiyomizu Temple, which is well known for its water; apparently drinking from the spring gives one long life! Drinking from the fountain of longevity for free! Our next stop was the Heian-jingu Shrine, an important cultural property of Japan with a beautiful garden that takes up almost half of the entire area. 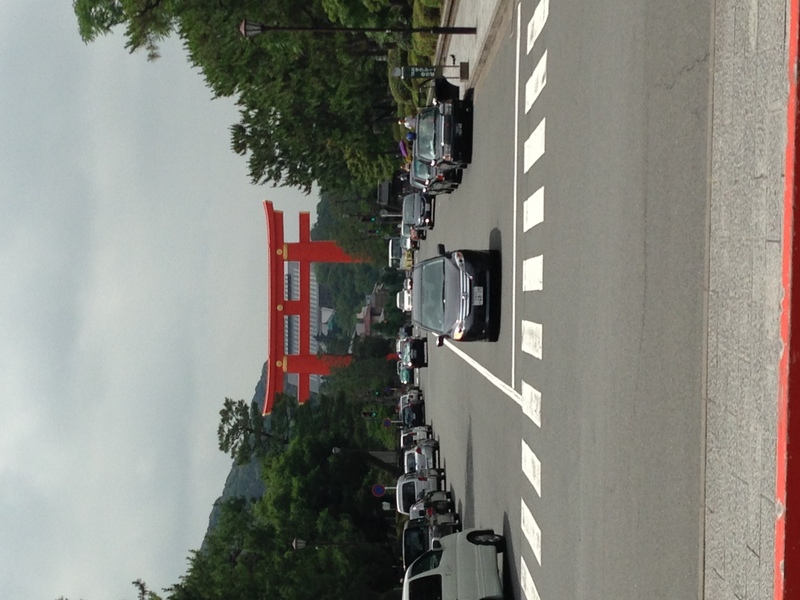 Also located here is one of the biggest torii gates in Japan. 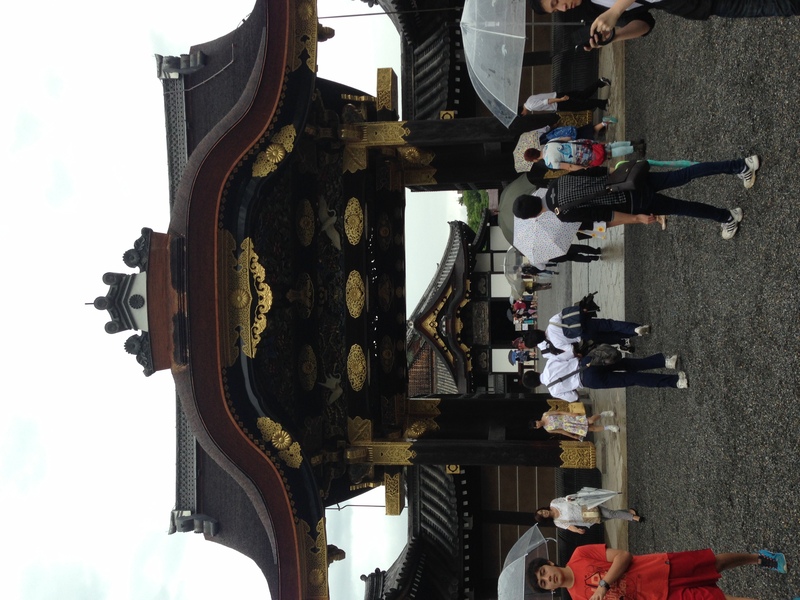 Walking through these gates marks the point where one enters the spiritual realm. 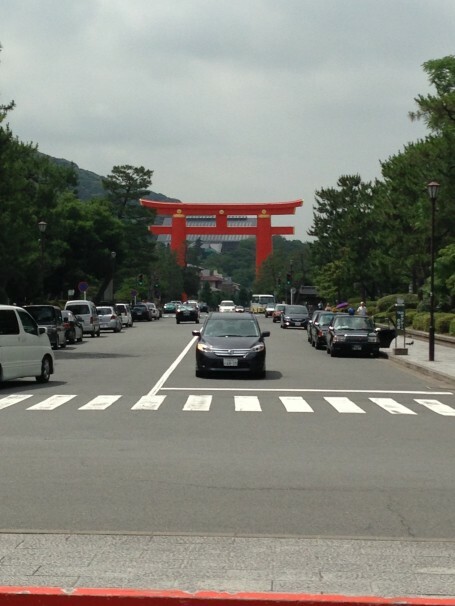 Heian-jingu Torii, one of the biggest torii gates in Japan! 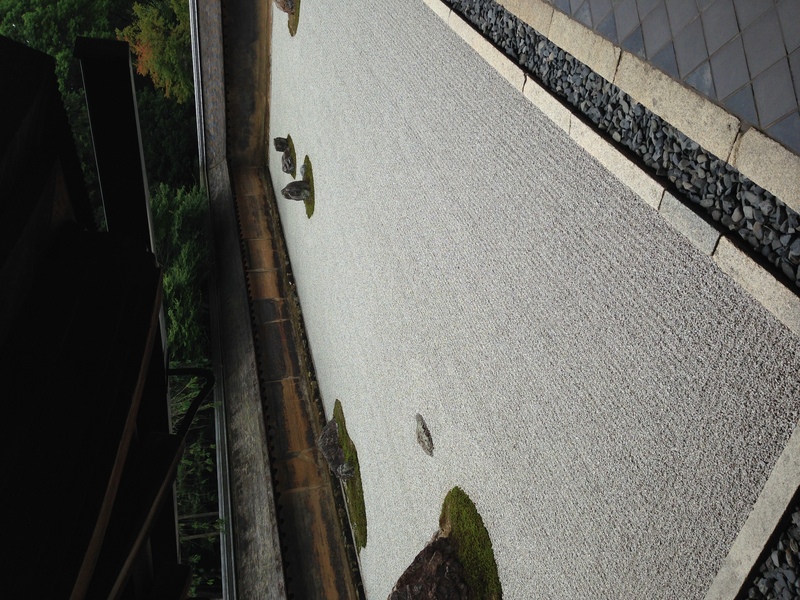 The rock garden in Ryoan-ji Temple was one of the most impressive gardens we visited in Kyoto. The 15 oddly-shaped rocks symbolize perfection, and it was very easy to lose an entire afternoon appreciating every nook and cranny of the garden. I wish we had been able to stay longer. 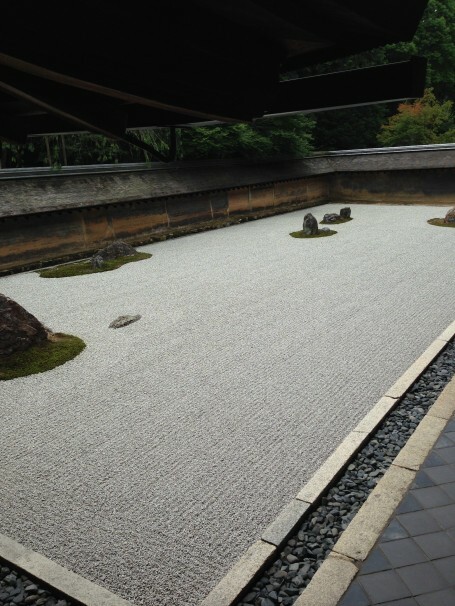 Rock garden at Ryoanji Temple. You can’t see all 15 rocks at once! 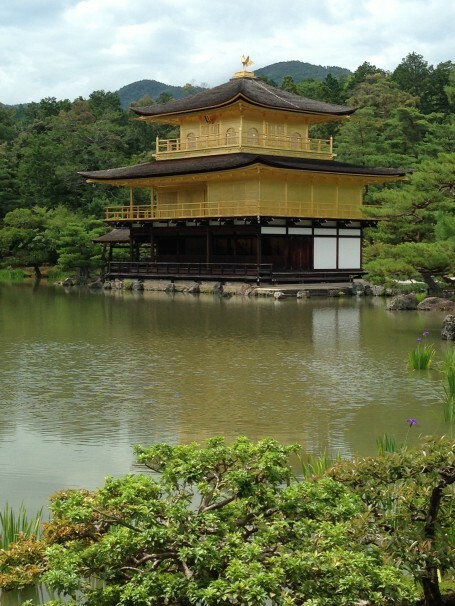 Another impressive location we visited was Kinkaku-ji, or the Golden Pavilion, because this temple is covered entirely in gold, and its beauty is magnified by the surrounding water and nature. 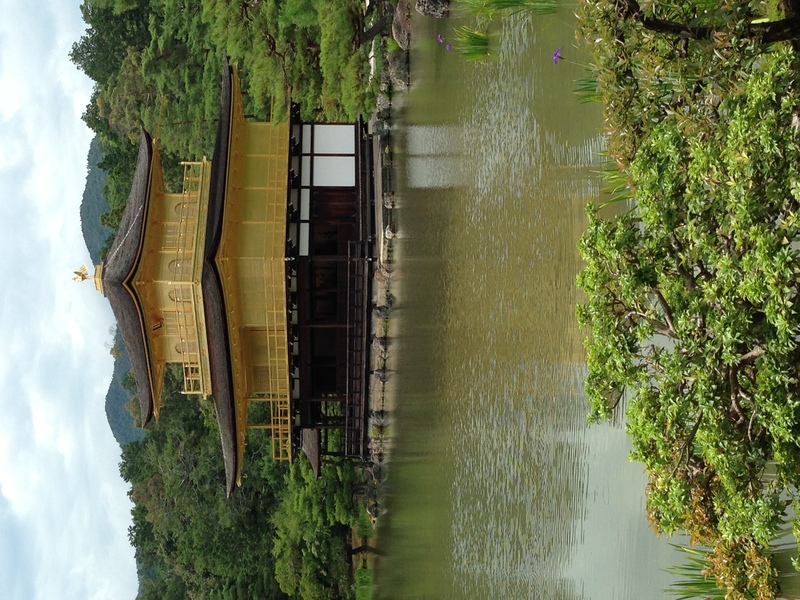 Golden Pavilion, a must-see while in Kyoto! 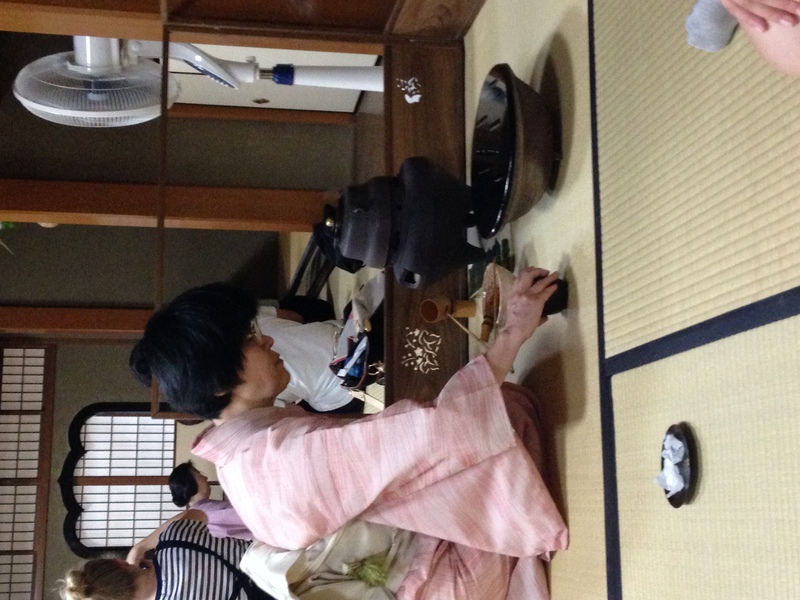 We ended our day with a traditional Japanese tea ceremony at Zuiho-in, a subsection of Daitoku-ji. 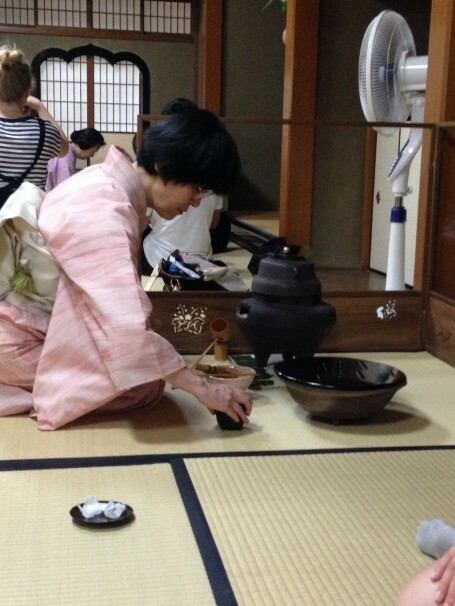 Here, we learned about an important Japanese cultural activity: the Way of Tea. Drinking tea is an art form; each room is arranged in a specific way with respect to not only tatami placement, but also hanging scrolls and flower arrangements, and the tea must be appreciated and drunk in a precise manner. 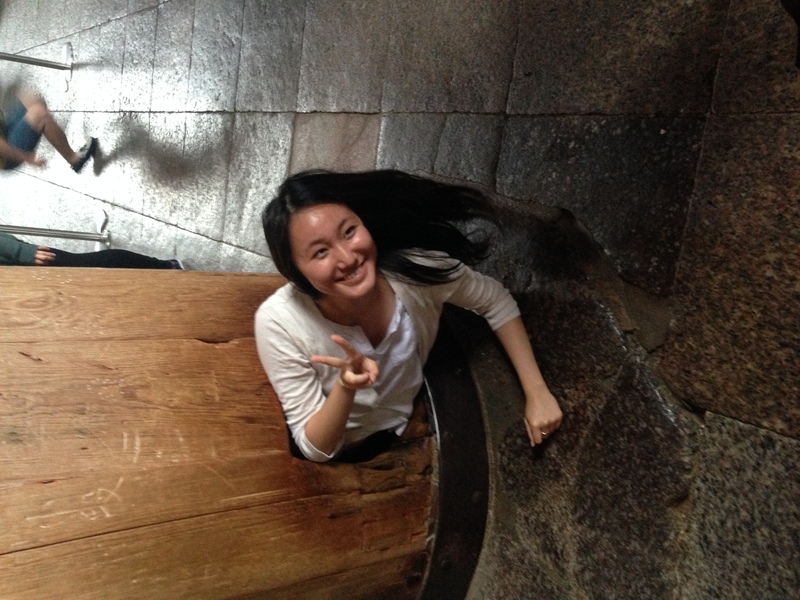 Being able to experience the traditional side of Japan was a great addition to our trip. On Thursday, we meditated at Koun-ji Temple, where we learned about letting go of one’s self and experiencing the state of mu, or nothingness. The Buddhist monk also recounted his own personal experience of zazen (meditation), when he did not sleep for 3 months and only meditated while everyone was sleeping. 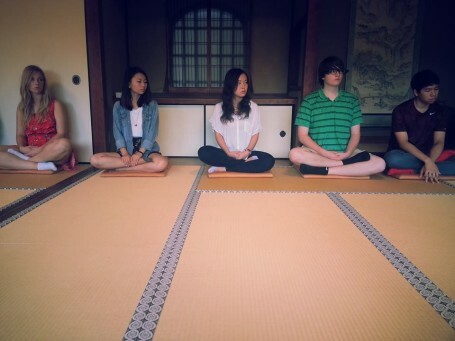 No one was able to reach this state in the 30 minutes allotted to us, but zen meditation was nonetheless a great opportunity for introspection. 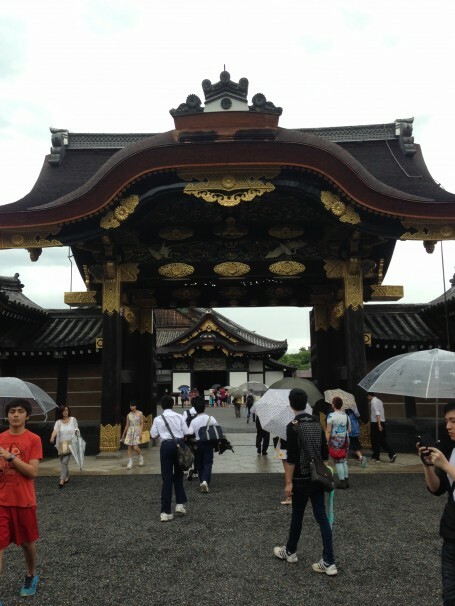 After our time meditating, we went to Nijo Castle (二条城). Tokugawa Ieyasu, the first shogun in the Tokugawa Shogunate, ordered this castle to be built in 1601 as the residence for the Tokugawa shoguns. 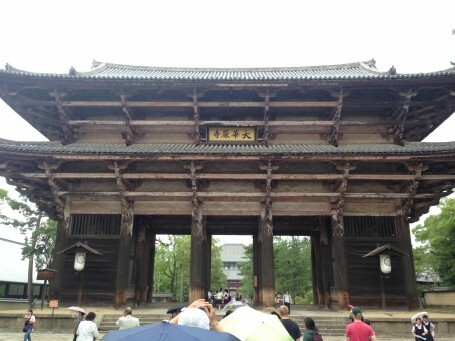 It was an amazingly intricate building, with every room having a specific purpose, whether it was the living quarters of the shogun or the holding chamber for the daimyo, or feudal lords. 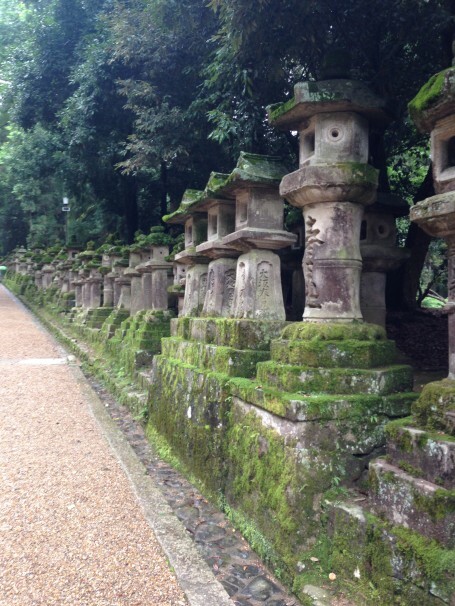 To say that Kyoto is an amazing and beautiful location to visit is an understatement. Something that stuck with us the most was the harmonious coexistence of modern and old culture. One can be walking down a major street with schools and skyscrapers, when the torii gates of a shrine or temple suddenly come into view. And inside, it is a completely different world; an expansive area of historical buildings, trees, flowers, and waterfalls is neatly arranged within the busy metropolis.